“I get angry when I see people being arrogant about assuming that they know how the world is when even though I think I don’t know how the world is. I see they are working on a narrow paradigm,” responds Wright. How are people often arrogant about their assumptions about the world? How can we avoid these mistakes? Wright uses the responses from the president of the United States and prime minister of Britain as examples of clearly identifying the problem of evil and trying to eliminate it. What makes the problem of evil larger than what we can identify in terrorist bombings? How is God ultimately in charge of the problem of evil? Wright describes this type of assumption, “messianic lunacy.” In other words, because some of us think that we can identify evil, we find it incumbent upon ourselves to fix it. How can “messianic lunacy” lead to deadly results? 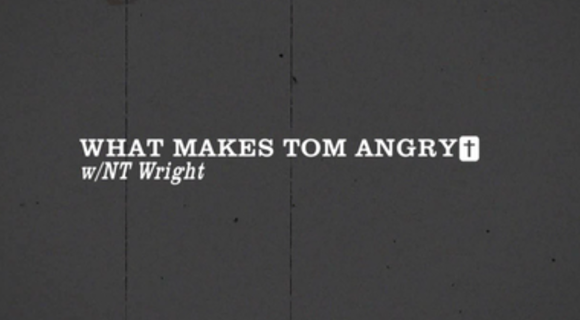 Wright also adds that he becomes angry at how people’s lives are ruined by people who are “idiots” and “arrogant.” How might our thoughtlessness cause others to be hurt? How can we develop more mindful lives? He who sits on the throne says. "Look, I am making all things new." He was there before any of it came into existence and holds it all together. In session 1 of 6 from the Awakening of Hope: Why We Practice a Common Faith video series, Jonathan Wilson-Hartgrove, Chris Haw and Shane Claiborne invite us to reflect on the role of food and how it's reflected and lived out in our Kingdom stories.